VA career employees view website. 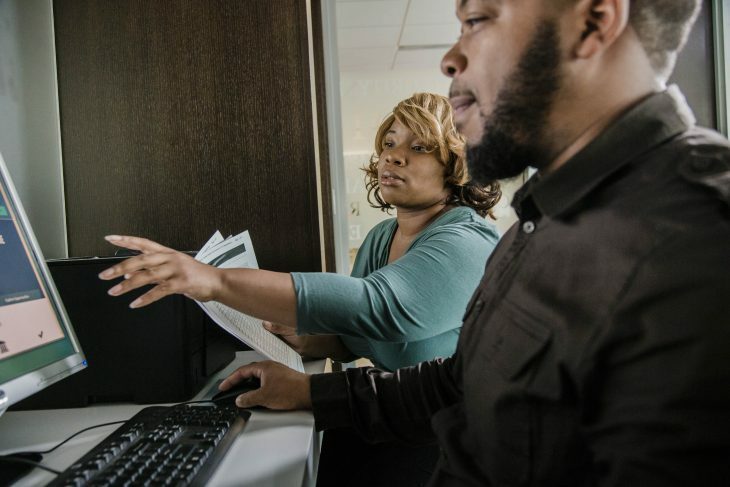 The new and improved VACareers.va.gov makes it easier than ever to explore and apply for a U.S. Department of Veterans Affairs (VA) healthcare career from your desktop, tablet or mobile device. Doctors, nurses, mental health professionals, allied health professionals and pharmacists. Review the benefits of employment, including details about compensation, paid time off and insurance. Navigate the hiring process, search careers and locate your dream job. Locate a VA recruiter at an upcoming event or at one of our Centers of Excellence. Hear what actual employees say about working at VA. Explore more about VA’s careers, culture and people through videos and brochures and print materials. VA career opportunities are available across the country at 1,250 sites of care. VA is the largest integrated healthcare system in the nation and employs over 338,000 professionals. In the 2017 academic year, VA provided 43,565 medical residents, 24,683 medical students, 463 advanced fellows and 849 dental residents and students some or all of their clinical training. Check out the new VAcareers.va.gov to see if a VA career is right for you. Get in touch by phone and email. Follow VA Careers on Twitter, Facebook, Instagram, LinkedIn and Glassdoor.